Are you a fan of these fabulous actresses, Sandra Bullock, Cate Blanchett and Anne Hathaway? If so you are in luck as the heist movie Ocean’s 8 releases in UK cinemas this week. Meanwhile in the US the release window has been cleared for Jurassic World: Fallen Kingdom. 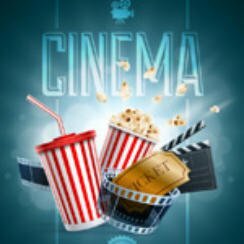 Their respective film trailers are of course below; these are the cinema releases for June 22 2018 in both the United Kingdom and United States. This week see’s only two main films releases, one in the UK and the other in the US. Ocean’s 8 has already released in America and done quite well whilst Jurassic World: Fallen Kingdom is still taking the UK box office by storm. One film that received a lot of criticism this week is the John Travolta mob movie Gotti, having recorded a 0% critics score over on Rotten Tomatoes. Having only seen the trailer I can’t really comment other than to say it’s unusual to have so many film critics slate a film. The audience score was significantly better coming in at 67%. I’m going to reserve judgement and try to keep an open mind for when I finally have a chance to see it.